On June 14, 1967, Promoter Ed Francis presented his first summer wrestling card at the Honolulu International Center Arena. 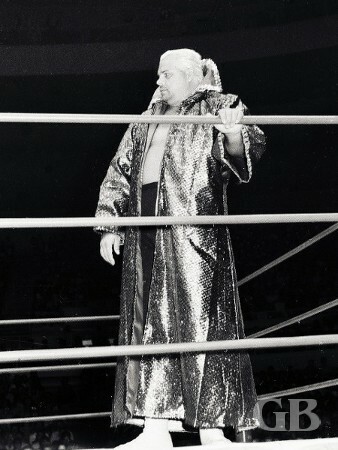 In the preliminary matches, Nick Kozak won over Skull Murphy while two other matches were draws- Billy White Wolf versus George Harris known as The Baby Blimp and Catalina Drake versus Harry Fujiwara. Nick Kozak turns the table on Skull Murphy and starts kicking him in the corner. 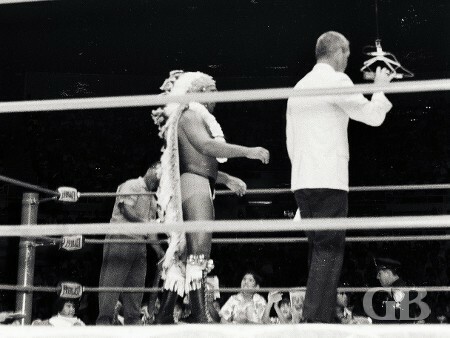 Chief Billy White Wolf is introduced in the ring by KGMB's Jim Lathrop. In other match billed as a main event, Ernie Ladd, 6ft. 9inches tall, NFL Pro Football player defeated Hans Mortier on a disqualification. Mortier was disqualified when he hit the referee instead of Ladd. In a midget tag team match, the team of Little Beaver and The Jamaica Kid (who substituted for Cowboy Braddley) against the team of Little Brutus and Fuzzy Cupid. The Jamaica Kid pinned Little Brutus for the deciding fall to give his team the victory. 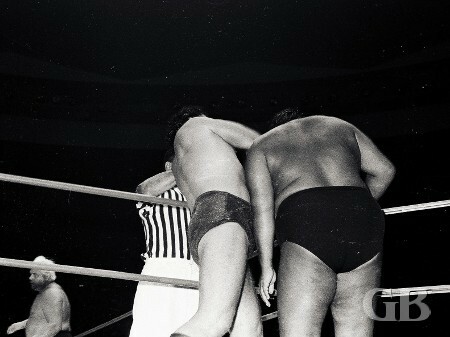 Ernie Ladd lifts up Hans Mortier by the neck and prepares to slam him. Fuzzy Cupid receives a blow from the Jamaica Kid. Little Brutus applies the Boston Crab on the Jamaica Kid as Little Beaver comes to the rescue. The Jamaica Kid attempts to pin Little Brutus. The top match of the card was for the Hawaiian tag team championship with champions Johnny Barend and Jim Hady putting their titles on the line against the dynamic duo of Ripper Collins and Curtis Iaukea. The match was 2 out of 3 falls. Hady captured the first fall over Collins. Ripper then subdued Barend for the second fall. For the third fall, Hady was thrown out of the ring and failed to return before the count of 20 seconds and Collins and Iaukea won the Hawaiian tag team wrestling championship. The King Ripper Collins in his royal gown. 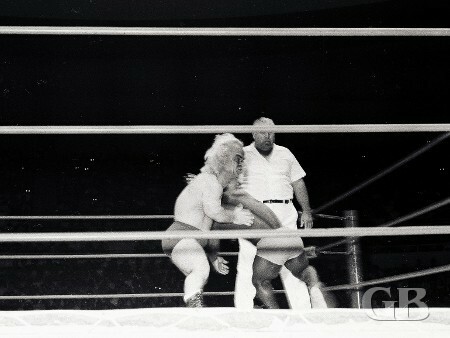 Johnny Barend applies the flying leg scissors on Collins. A bloody Ripper Collins rips Jim Hady's face. Johnny Barend works over Curtis Iaukea in the corner outside the ring.